Basically, if you like Joe Hunter, or you like Jack Reacher, then you're more than likely going to like the writing of these fine individuals. 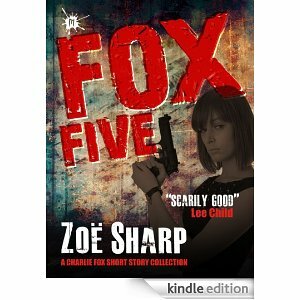 First up is news about a brand new e-antholgy of short stories from fellow Brit - and Cumbrian - Zoe Sharp whose Charlie Fox collection FOX FIVE has just come available on Kindle. Thanks for the shout out! Glad to be in the Hardboiled crew with you.